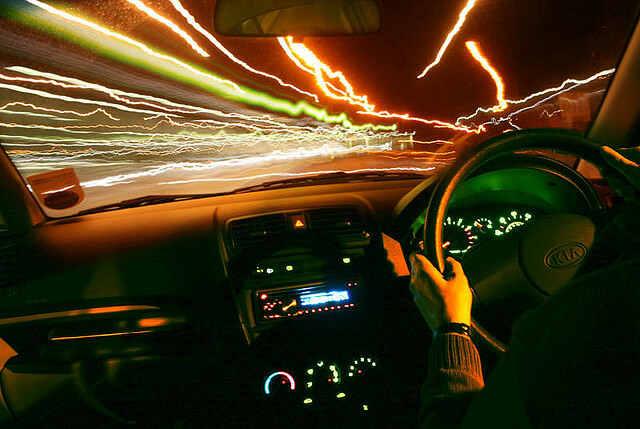 Driving at night is a common occurrence for every car owner in America. And while you may think that there is little difference between night driving and day driving, the reality is that driving in the dark can often cause unexpected problems that simply don’t occur during the daylight hours. According to the National Highway Traffic Safety Association (NHTSA), nearly half of traffic-related fatalities occur in the dark, despite only 25 percent of all traffic travel happening during darkness. With that in mind, it seems that all of us could do with some help when it comes to driving in the dark. Here are some tips for keeping safe while driving at night. It might seem obvious, but many car owners are guilty of neglecting their headlights. When one of your bulbs goes out, don’t waste any time before you replace it. It is usually inexpensive and little hassle to do so, but it could prevent a serious accident. Beyond simply replacing headlights that have gone out however, it is important to maintain them by washing them (regular car washes will do this) and replacing them when they are dim (instead of waiting for one to go out altogether). Incidentally, there are some car manufacturers who are taking great strides towards making headlights safer and more effective for the average car user. The glare of headlights on a windshield can create problems for any driver at night, especially when that windshield is dirty. For this reason, it is important to keep both the inside and outside of your windshield clean and streak-free. Furthermore, it is important to keep your wipers in good condition, as old or cheap wipers can create streaks. While driving at night, you should never drive “ahead” of your headlights. That is to say, because you can only see a certain distance ahead of you, you need to adjust your speed accordingly. Your vision is also limited peripherally, so driving defensively is also important, as you cannot see potential hazards as well–such as pedestrians crossing or animals running out from the side of the road. You should be doing this anyway, especially as a driver, but keeping your eyesight in check is particularly important when you are driving in the dark and your vision is not as sharp. Another big cause of accidents is drowsy driving. This often goes hand in hand with night driving, and drivers should always be willing to take a break if necessary when they are feeling tired. On a more regular basis, make sure that you are getting as much rest as possible before setting out on a long drive.